Sreesanth might have breathed a sigh of relief after the Kerala High Court asked the BCCI to lift the ban on the pacer, but he has his task cut out if he ever is to wear the India jersey ever again. 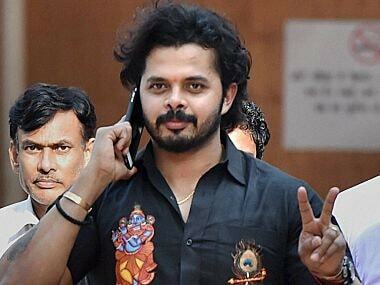 The trial court on July 25 discharged cricketers Sreesanth, Ajit Chandila and Ankeet Chavan, and 33 others. Delhi Police on Friday decided to file an appeal in the High Court against a city court order discharging all the 36 accused in the sensational IPL-6 spot fixing case including test discard S Sreesanth and two other cricketers Ajit Chandila and Ankeet Chavan. The observations came while granting bail to suspended cricketer Ajit Chandila and two others, who were arrested in connection with the case. An unusual situation was today witnessed in the IPL spot fixing case which reached three different courts due to jurisdiction issue over MCOCA charges.